Spring is the season to rejuvenate your BMW after a rugged winter of cold temperatures, sporadic snow fall, and salt build-up. Although there are no extreme temperatures to contend with, Spring is an important season for automotive concerns. 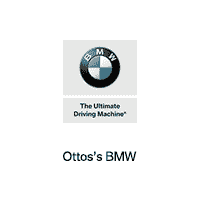 The Certified Mechanics at Otto’s BMW view Spring as a transitional time for automotive work. Automotive care centers around a combination of refreshing your BMW from the winter wear, while prepping your Ultimate Driving Machine for upcoming summer travel. Below is a list of simple tips to help you care for your vehicle as Winter concludes and the Spring flowers start growing. Also visit our Service Special’s page to enjoy up to $150 in rebates and other Spring service savings by clicking on the link below. Wash and wax your BMW. After an entire season of dirt, debris, and salt accumulating on the body of your BMW, washing and waxing your vehicle is extremely important. By allowing these winter remnants to build up on your BMW, you risk damage to your vehicles exterior, specifically the body and finish. Salt is the most important element to remove from your BMW following winter’s end, because salt can lead to rust. Inspect and when necessary, replace your wiper blades. Removing ice and snow build-up from your windshield regularly during the winter months might have taken an extreme toll on your BMW’s windshield wipers. Worn out wiper blades can lead to visibility issues when driving during rain. Increased streaking during wiper use is a warning sign of worn out wiper blades. If you are not sure of your blade’s condition, please visit Otto’s BMW, where one of our Service team members can do a proper blade inspection. Check your tire pressure. With a high likelihood that you filled your tires with air to combat a tire pressure decrease in the winter months, monitoring tire pressure in the Spring is important. Warmer weather causes the air in tires to expand, which could cause tire pressure to increase past the tire manufacturer’s specifications. Over-filled tires can affect the handling, drivability and fuel economy of your BMW. Schedule a service appointment. After months of driving on harsh roads, making snow covered journeys, and enduring cold temperatures, the snow, potholes, rocks, or sub-zero temperatures might have taken a toll on your BMW’s alignment, suspension, brakes, or battery. Spending an entire Spring driving with an alignment or brake issue could eventually ruin the alignment, damage suspension components, or wear out rotors. Schedule an Otto’s BMW Service appointment to check your BMW’s alignment and brake pads to ensure these components are within the manufacturers specifications. That same appointment can be used to run a battery diagnostic and check oil. Even though the season has no extreme weather to combat against, spring ushers in several months of prime driving weather, so schedule a service appointment to ensure you’re prepped. Otto’s BMW is currently running a Spring Service Event, which is offering up to $150 in rebates on select spring services. Click below to learn more about the savings of our Spring Service Event!